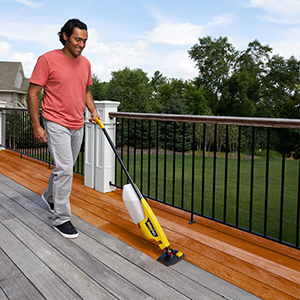 The Wagner Renuvo makes staining a deck fast and efficient. 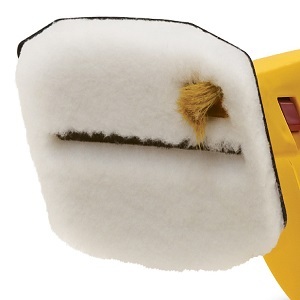 The tank eliminates dunking brushes, rollers and foam pads by feeding material directly to the premium UltraFiber Pad and groove brush. The flow control dial and trigger provide on-demand control of thick and thin bodied materials so that you can manage the flow of stain to your project needs. 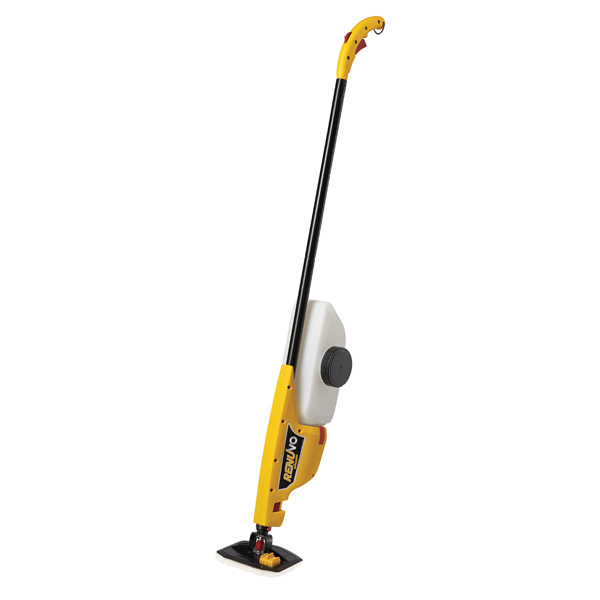 RenuvoDeckStainingTool is rated 2.4 out of 5 by 7. 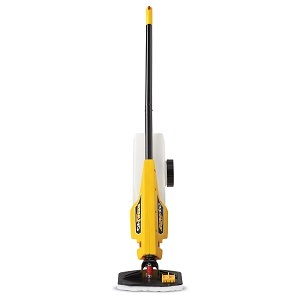 Rated 1 out of 5 by Kevinm27 from Poor Quality Bought the Renuvo after having a Deckmate for several years. First time using the new Renuvo the flow would not stop even when the trigger was off. The stain came out so fast that it could not be spread around. It was useless. Couldn't even use it once. 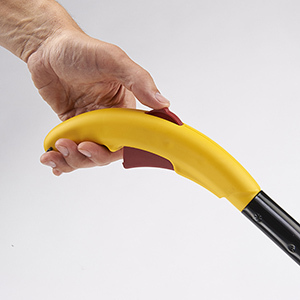 Rated 4 out of 5 by Chris8 from Tool made staining easier, but clean up a little more cumbersome. Stained my deck floor boards using the Wagner Renuvo deck staining tool. Took some getting used to. But after watching a video online i got the hang of it and it looks awesome, very even finish. Saved me so much time on the typical back breaking process on the floorboards. Clean up wasn't as easy as throwing a brush or stain pad away though. Rated 1 out of 5 by Steve421 from The pad clogged up after only five or six deck boards were covered. The "Troubleshooting" recomendations were followed: messy andtimeconsuming The product in theory is a good idea, but in practice, is a disaster. The application bad quickly stopped laying down product after only five or six deck boards were covered. The protruding brush for painting between board functioned poorly as well. The weight of the tool when filled with material is heavy. Following the "troubleshooting" recommendations for insufficient material flow added unnecessary time and proved messy as well. The product was a complete waste of time and money. Rated 2 out of 5 by Renee from Adequate, but barely The unit arrived with a slightly damaged feeder tube, but it didn't end up making any difference, as it was not cracked. The unit did not leak anywhere. The two brushes came off too easily, a slight twist would pop it off every time. The brushes would never become saturated with stain anyway, so we just took it off and used the Renuvo as a stainer. For this, it did a good job, but I still had to go between all the boards with a brush. 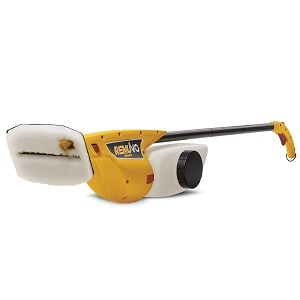 Rated 5 out of 5 by JaniceRoger from Deckmate has great features... We used this deckmate today and it covered well and was so much easier to use rather than a roller. The best part is it did the groves. Our deck looks great!!! Rated 1 out of 5 by MikeM from Worst Product I've Bought in Years I went to Home Depot last week to buy stain/waterproofing for my deck and came upon this item. After reading the box, I thought it was a good idea. Unfortunately it was not the case. First of all, the pad doesn't get saturated evenly, so numerous passes are needed. The little brush that is supposed to coat in between the deck boards is useless, so one would need to use a brush to finish that off. Shortly after starting, the stain started to drip out of Renuvo and left droplets over the previously stained areas, so numerous passes were needed. By the time I was half way done, the stain was just about pouring out of every part that had a joint or supposed seal; it was a total mess. Even thought the concept is good, the execution and quality of the product was terrible. I would have been better off with a roller and a brush. I was so disgusted with the product that I just threw it away; I didn't even bother to bring it back. A total waste of money. Would you send to Melbourne victoria Australia? If so what would shipping cost be? We can't buy one here . 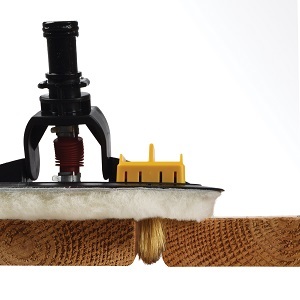 Can this be used on stamped concrete using the Eco sealer? I don't see why not. As long as it is water or oil based, it should work fine. You'll have to call us to order replacement pads for the Renuvo at 800-328-8251. Can this product be used upside down (bottom side of deck on second story) and vertically (pickets)? No, it will not work when held upside down. 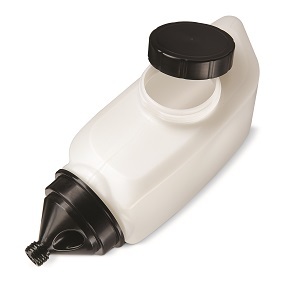 Can you use Thompsons Water Seal with the Renuvo? You certainly can. The Renuvo can handle water and oil-based materials that clean up with soap and water or mineral spirits. Our deck boards are grooved so a flat pad will not coat all of it. Are you developing a pad that will accommodate this feature? The deck pad included with the unit is thick enough to apply stain into grooved boards, per the testing that we have done. Can renuvo apply rustoleum 2x paint stain or duck start wood primer ? Rustoleum Restore and other restorative deck products will be too thick to apply with the Renuvo. 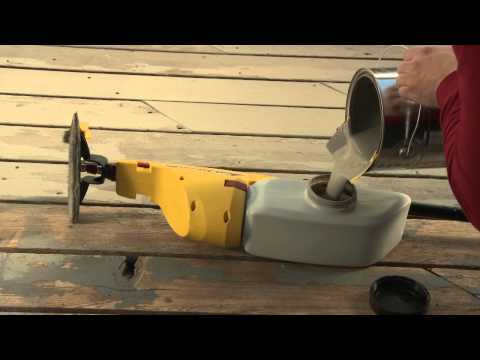 Can the Renuvo be used to paint decks, including with paints with no slip additives? 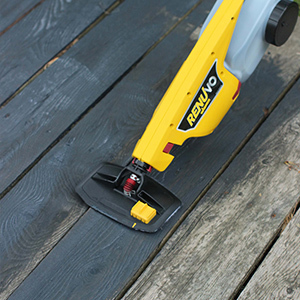 The Renuvo is designed currently to be used with oil and water-based deck stains that are labeled as transparent, semi-transparent, and solid. Popular coatings that are formulated to be thicker than paint or solid stains in order to fill imperfections, or lengthen the life of a deck, will not flow through the Renuvo due to their viscous nature. If you have any questions regarding the coatings that you are considering, please contact Wagner before application with the Renuvo.